(JTA) — The Union for Reform Judaism’s Camp Newman, which was “mostly destroyed” by last month’s Northern California forest fires, will have a temporary home for the 2018 summer camp season. The URJ announced Friday that the camp will be housed at the facilities of California State University’s Maritime Academy, or Cal Maritime, located on the waterfront in Vallejo, a short drive from both Santa Rosa and San Francisco. The camp, which currently serves about 1,400 children, has been operating for the last 70 years. The camp moved to its current site 480-acre site in 1997 and dedicated a $4 million building last year. Camp was not in session when the fires hit. Everyone living on the camp site, as well as the Torah scrolls, were removed and rescued before the camp was destroyed. 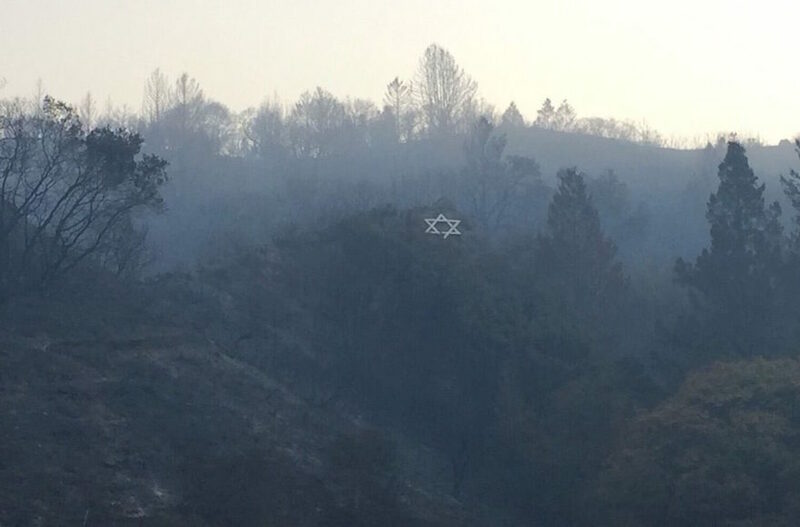 Most of the buildings on the camp’s property were destroyed by the fire, but an entrance gate, prayer books and prayer shawls survived the flames, along with an iconic wooden Star of David on a hillside that overlooks the camp. At least 41 people were killed as the result of 15 major wildfires across California. Over 217,000 acres and 5,700 structures were destroyed.